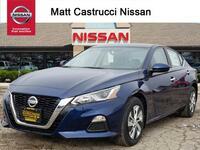 Car shoppers looking for a vehicle that has a fuel-efficient engine with plenty of interior space to fit their growing family have plenty of viable options to choose from, but we highly recommend keeping a close eye on the 2018 Nissan Altima. 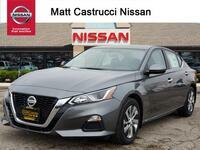 The 2018 Altima is known for its advanced safety enhancements and high-tech options, but how else does it separate itself from its quality competitors? 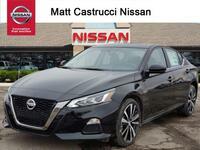 Each of the 2018 Altima's six trim levels come equipped with a high-power yet fuel-efficient engine, plenty of standard safety features, and cosmetic upgrades that are sure to turn heads. 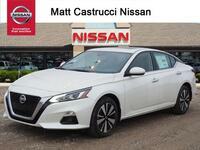 Interested in reading more about why sedan shoppers are turning to the 2018 Altima for their next family vehicle? Read on and we'll fill you in on all of the important details! The 2018 Altima's exterior styling is sure to turn heads wherever it goes, featuring an aggressive front girlle, available LED headlights, sweeping lines, and sharp contours. Moving to the inside, shoppers will find high-end features throughout, such as a touchscreen display and rearview camera. 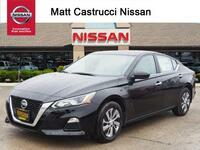 The 2018 Nissan Altima comes with a variety of high-quality driver assistance features designed to keep drivers and passengers alike as safe as possible. Advanced assistance features include Blind Spot Warning, Rear Cross Traffic Alert, and Intelligent Cruise Control, and more. If you like to jam out in your car, the 2018 Altima is a match made in Heaven for you. Optional features include a 7-inch infotainment touchscreen display, a Bose® premium audio system, and SiriusXM® Satellite Radio. Standard features include USB ports, MP3 capability, and Bluetooth® compatibility. 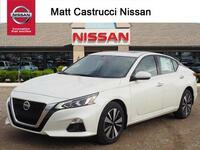 Car shoppers interested in learning more about the 2018 Nissan Altima are encouraged to contact a member of our team here at Matt Castrucci Nissan or stop right in and see us at our location in Dayton!